BNG Team’s story goes back to 2004. Three college friends met while attending North Dakota State University, and fell in love with the notion of being entrepreneurs. So they dropped out of college and formed BNG Team. They wanted to create solutions that benefited businesses operating in small North Dakota towns. BNG Team’s roots are entrenched in the payment processing industry. The founders decided to start their own payments processing business, because they learned that many other companies in the payments processing industry operated with unfair practices like overcharging rates and fees. BNG Payments offers small businesses the ability to accept credit card and ACH payments, officially incorporated in January of 2007. BNG Point-of-Sale was started in 2010, and is a premier source of point of sale systems, that ultimately helps restaurants run their businesses efficiently. BNG Point-of-Sale sells systems like touch screen tills, electronic cash registers, inventory software, security cameras, and integrate with BNG Payments. credit card processing services. ConnectBooster was born in 2010, and helps IT firms across North America automate their entire process of invoicing and accounting. Today, ConnectBooster’s software works to solve accounts receivable issues through our ground-breaking integrations into accounting packages, industry CRM’s, and a custom payments processing portal. BNG Design is a premium website design and marketing firm that began in 2012. We first started BNG Design as a way to build our own internal websites, but then morphed into serving clients through website and marketing projects. BNG Design has since added multiple web-marketing services to our portfolio of offerings and ultimately aspires to helping business owners receive a return-on-investment (ROI) from their company website. BNG Design also specializes in E-Commerce, Inbound and content marketing, SEO, email marketing, social media, and web development. Today BNG Team is owned and run by the same three friends, Brady Nash, Ryan Goodman, and Tyler Buechler. The Silicon Valley of the Midwest. and healthcare throughout the Eastern North Dakota region. coupled with the low crime rate; it has ranked 15th on the list of 100 best places to live. If there’s one thing the BNG Team loves more than anything, it’s food. We work, and play hard by enjoying great meals together. The Fargo/Moorhead area has so much to do and see! Check out some of our employees favorite things to do and see in our city. There’s a lot of things about Fargo to love. Many of the BNG Team chose to move here, or to stay after growing up here. Here’s a list of the things we do in-house by each department. Maybe our company’s competitive nature is at play, but our team loves winning. but they help us know we’re hitting the mark at providing for our customers. Recently, BNG Holdings Inc. was awarded the #2 fastest growing company in North Dakota by Inc. Magazine. 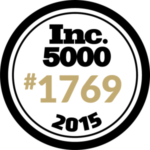 We were also awarded the honor of #1769 on the same Inc. 5000 list of fastest-growing private companies in America. The Inc. 5000, awards companies based on their growth over the past three years. BNG Holdings has experienced 227% of growth, and has increased its staff by two-thirds in the last three years. BNG Holdings’ growth is largely due to your support and business. MAX 2015 conference presented ConnectBooster with their “Best Exhibitor Interaction” award. The honor was given since ConnectBooster had an engaging exhibit for attendees to experience billing automation through their PSA. This award shows the user friendly experience for you and your business automating your business. ‘Business Solutions’ 2016 Retail IT VAR of the Future. BNG Technologies’ CEO Brady Nash, interviewed to appear on the panel of “Secrets of POS-as-a-Service Pros.” The panel featured successful POS solutions providers, who were chosen because of the outstanding service they bring to POS users. This honor was bestowed because BNG Technologies provides exemplary POS solutions for you. ConnectBooster was included on the 2016 Vendors on the Vanguard, a list of the best upcoming IT industry start-up companies. ConnectBooster was spotlighted because of the technology it provides MSPs providers, eliminating invoicing headaches, enabling set-and-forget billing for ACH and credit cards, and integrating with PSA tools. MSPmentor annual global ranking of the world’s top 501 managed services providers, ranked BNG Team 261 on the list. MSPmentor choses these businesses based on their annual recurring revenues, dollar growth, percentage growth, devices managed and plenty more. BNG Team’s ranking reflects its growth as an industry thought leader, because we continually research better ways to serve IT companies. Brady Nash, CEO of BNG Team was honored to be featured in the list of Prairie Business’ 40 under 40. 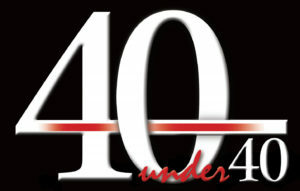 The list features inspiring and dedicated professionals under the age of 40. Brady nomination reflects BNG Team’s responsibility in ensuring that our business is working together, while honoring the company mission and vision to provide for you, our clients and business partners. The ChamberChoice chose BNG Team CEO Brady Nash, as a finalist for “Entrepreneur of the Year Award.” The finalists were selected by a panel of independent judges from the regional business community, who evaluated accomplishments in the areas of business growth, innovation, creativity, community involvement, and unique achievements relating to a specific industry. Brady was chosen because his spirit embodies the values of the businesses like you who we support. Silicon Valley list of 50 Best Companies to Watch in 2016, BNG Team is referenced as an up and coming provider of business solutions in the SMB world. BNG Team has been recognized for our expertise in the B2B industry. This recognition helps our clients, because it speaks to our ability to provide excellent services for other small businesses.